Mexican drug cartels have been using drones to traffic drugs since 2010. The U.S. Customs and Border Protection (CBP) agency has been operating unnamed aerial vehicles (UAVs) over Mexican territory for years, but now the tables have turned. A slew of recent reports confirm that Mexican drug cartels have begun manufacturing their own drones to smuggle narcotics across the border into the United States. Mexico’s mega-rich drug trafficking organizations are constantly devising innovative means of outfoxing CBP agents to ensure that their illicit products reach the lucrative market north of the Rio Grande. Shipments are no longer simply hidden in vehicles, flown by light aircraft or ferried via speedboat; they are also fired over the border by customized cannons and shipped in clandestine, custom-built submarines. One of the most inventive traffickers in recent memory was Joaquin “El Chapo” Guzman, the Sinaloa Federation kingpin who was arrested in February. Guzman devised the first sophisticated tunnels that ran beneath the border in the early 1990s; he shipped drugs via Fedex, stuffed cocaine inside bananas and cucumbers and in cans of jalapeños, and even used catapults to fling bales of marijuana over the border. Mexico’s most dominant cartel, the Sinaloa Federation has always been quick to grasp the potential of new technology and it has now begun to replace traditional drug “mules” – as those who make the border crossings are known – with a low-risk automated alternative: drones. Drug traffickers are known to have used foreign-built drones since at least 2010, when Mexico’s Public Security Secretariat (SSP) first acknowledged criminal use of ultra-lightweight UAVs to smuggle cocaine into the United States. SSP Undersecretary Francisco Gonzalez said that the planes weighed about 100 pounds and each could transport 100 kilograms of cocaine per trip. Purchased in Colombia for $1,700, each kilo of cocaine would be worth $8,000 in Mexico and could sell for $30,000 in the United States, Gonzalez explained, meaning that traffickers could earn $2 million for every successful voyage. The frequency of ultra-lightweight drone voyages began to increase in 2011, with most flights occurring at night into central Arizona, Mexican newspaper El Universal reported, citing the U.S. National Guard. Upon landing and being relieved of their cargo, these ultra-lightweight drones were abandoned, a writer using the pseudonym Juan Doe noted in his Drugs, Guns and Politics in Mexico blog last year, although El Universal suggested that they would often drop off shipments without actually landing. Since 2012, U.S. law enforcement agencies have reportedly recovered around 150 drones laden with two tons of cocaine and other narcotics, but until the end of last year the cartels were always believed to have used Israeli-built drones that they had imported into Mexico. However, U.S. Drug Enforcement Administration (DEA) sources have now confirmed that cartels have been building larger, more robust drones capable of transporting heavier loads since at least the start of this year, El Universal reported. 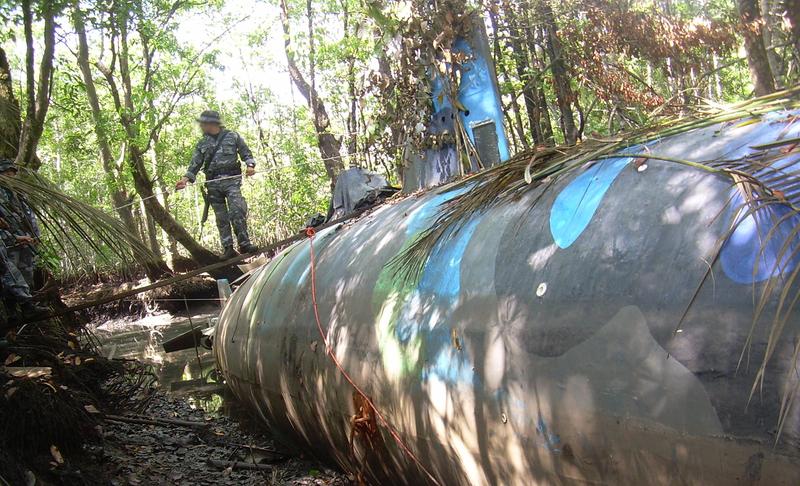 ‘Narco submarines’ are one of many methods of transportation that drug cartels have devised. Doe claimed that a drug trafficker told him that the drones were being produced at aircraft assembly plants in Mexico City’s upmarket Santa Fe district and near Queretaro’s Bombardier factory. 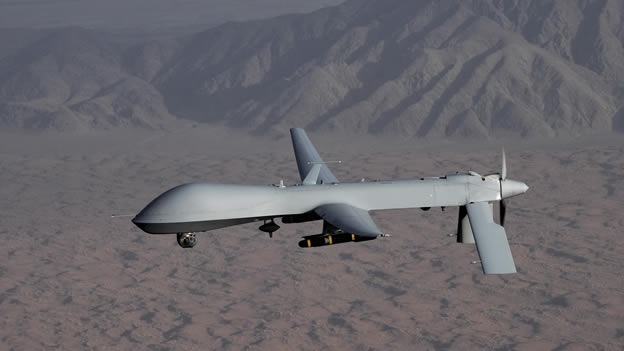 El Universal then confirmed that Mexican and the U.S. authorities have information that cartels are manufacturing drones in both those cities and in Guadalajara and the northern state of Nuevo Leon. Working from U.S., European and Israeli designs, Mexican aeronautical engineers are reportedly being paid two or three times their usual salaries to develop drones that meet the cartels’ needs. The drones must have fold-up wings so that they can be recovered quickly and easily transported in trucks, Doe noted. Compared to the ultra-lightweight UAVs, he explained that the “narcodrones” – as they have become known – are less easily swayed by weather and require less remote piloting as they can accurately deliver cargo using GPS technology. Utilizing drones offers cartels several obvious advantages. It eliminates the risk of cartel operatives being arrested and imprisoned, and reduces the number of face-to-face exchanges in the entire trafficking process. This limits the information that any trafficker could provide authorities if captured, interrogated or persuaded to turn informant. Unlike the ultra-lightweight UAVs, the customized drones are also designed for repeated use and can be utilized to fly cash back from the United States and into the traffickers’ hands. This means traffickers could send decoy drones or deploy entire fleets of drones at once, making it almost impossible for U.S. law enforcement agents to prevent all of the shipments from coming through.